San Agustín is one of the prettiest villages on the island, with its fine traditional architecture and beautiful surrounding countryside. San Agustín is a small and very pretty little village halfway off the main road between San Antonio and San José. 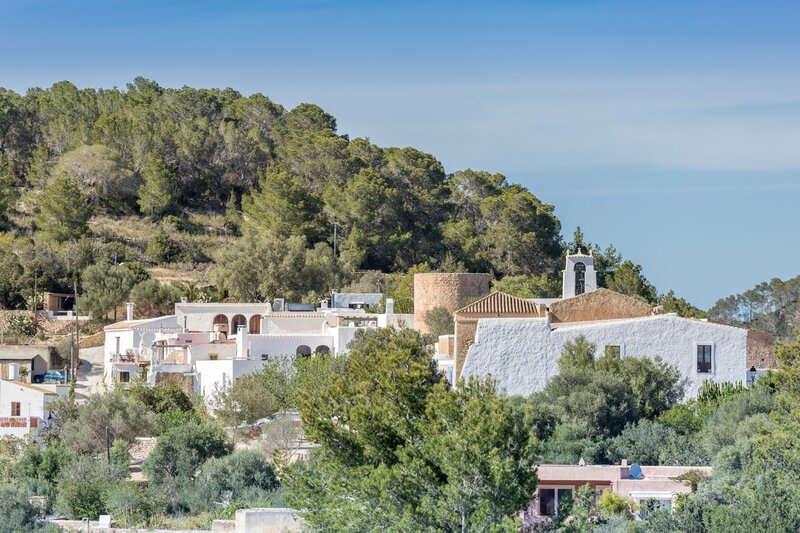 It is one of the best-preserved villages on the island that is a slice of the real Ibiza, and a very tranquil one at that. If you blink you could almost miss the unobtrusive turn-off, marked only by the subtlest of signage, but once you get there, you will be amazed at its picture postcard prettiness. As you drive in you will find two car parks next to the church where you can stop and explore the village. Buildings of note are the stone tower, parish house and the church, which was first inaugurated and blessed in 1806. Whilst the church interior is relatively unadorned compared with others on the island, its solid walls and simple cubic design are the perfect example of true Ibicenco architecture. From the church square you have one of the best panoramic views of the impressive San José hills and the open countryside that surrounds the village. The traditional houses that lead up to the church and all around the village are a truly lovely sight to behold. It's almost like walking into the picture on a box of chocolates when you see their unusual chimneys and immaculately trimmed hedges. If you walk around to the other side of the church there is a great eatery called Can Berri Vell serving local food on a lovely large terrace, planted with small trees and vines. It even has its own art gallery and there's another located in the village too. Shops are few, though there is a small grocery store for drinks and snacks and a very tiny tobacconist. August sees a week long set of celebrations for San Agustín's annual festival. The main event takes place on the 28th when you will be able to see the procession to the church, watch the traditional Ibiza folk dance Ball Pages being performed and then take part in a very lively concert that takes you well into the night. Coming here, you will almost feel that time has stood still, so turn off your phone and enjoy the beauty of this gem of a village.